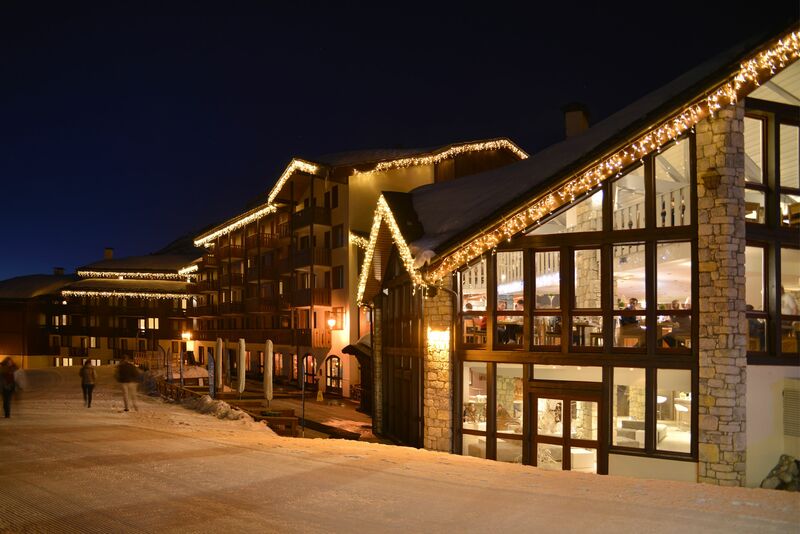 The Hotel Belle Plagne 2100 in Paradiski ®, at the heart of the world’s second largest ski area, is the perfect venue for your receptions and events. You will really be able to feel the authenticity of the region thanks to the hotel’s cosy and welcoming ambience. This is the perfect setting for a ski trip to Savoy with your loved ones or colleagues! Whether you are organising a private or a business event, the 3* Hotel Belle Plagne can respond to your every need, making it the perfect venue. The charming setting will delight your guests, who will certainly appreciate the magnificent view over the snowy mountains. Whether you are organising a small event for 20 people or a large reception for up to 400 guests, our team will set up the hotel’s customisable modular rooms to suit your needs, and will provide a range of complementary services as required (bar, catering, leisure areas). Our teams will put all their expertise at your disposal to organise turnkey events, tailored to your precise needs and comprising incentive activities, catering and even excursions. But top of the bill is skiing in Savoy along with a host of other activities in the snow. In the refined setting of our “La Grange” Restaurant, with its panoramic view over the slopes, you can savour traditional mountain cuisine at our themed buffets and regional specialities prepared for you by our chef. For large receptions, you can choose to have cocktails served in the function room. All so that your guests have a wonderful time and take home long-lasting memories of their ski trip to Savoy!